The interaction between positive and negative space is at the heart of the In Between chair by Sami Kallio for &Tradition. The back and sides of the chair provide a concrete form while also creating new shapes with the open space in between. In addition to providing a comfortable place to sit, the chair is a real eye-catcher in every room. Sami Kallio's know-how in wood processing is evident in the SK2 In Between chair. The wood of the backrest and armrests is brought into the desired shape through the classic techniques of compression moulding and turning. Together with the seat upholstery, it radiates a modern yet cosy appearance. 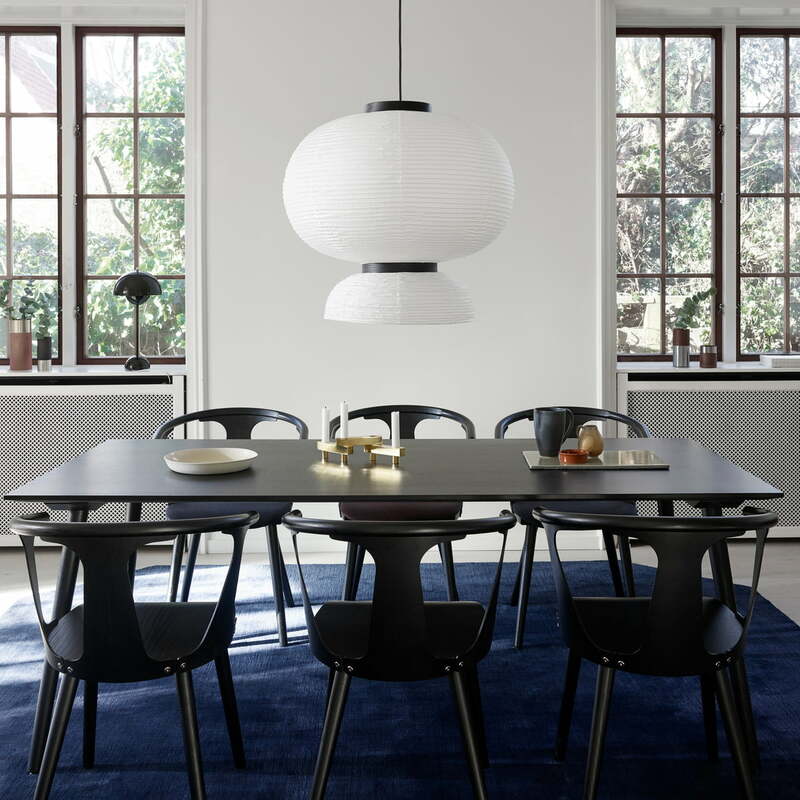 The light and elegant SK2 is so versatile that is suitable as a dining table chair to enjoy meals with friends and family as well as desk chair. The In Between chair SK2 by &Tradition is available in different variants. 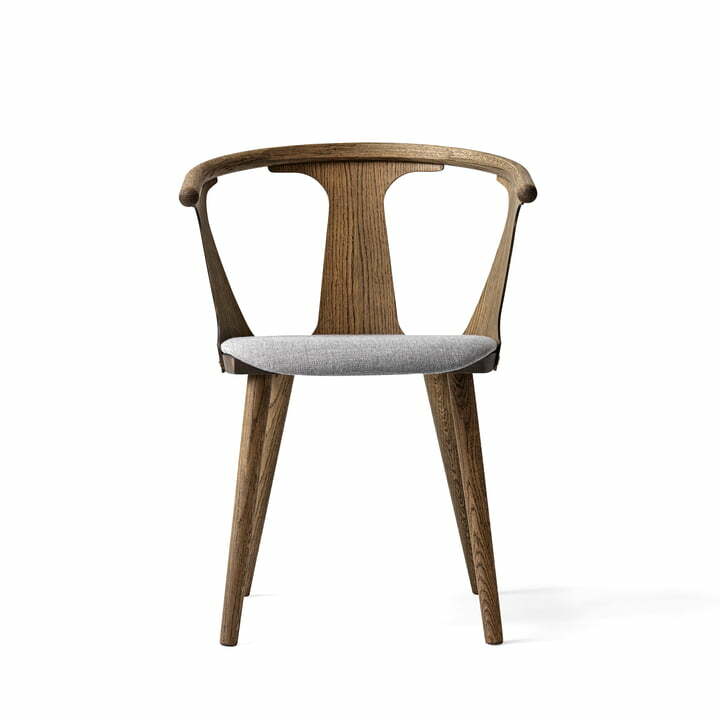 Isolated product image of the In Between chair SK2 by Sami Kallio for &Tradition with a base made from smoked and oiled oak and seat padding consisting of Fiord 171. 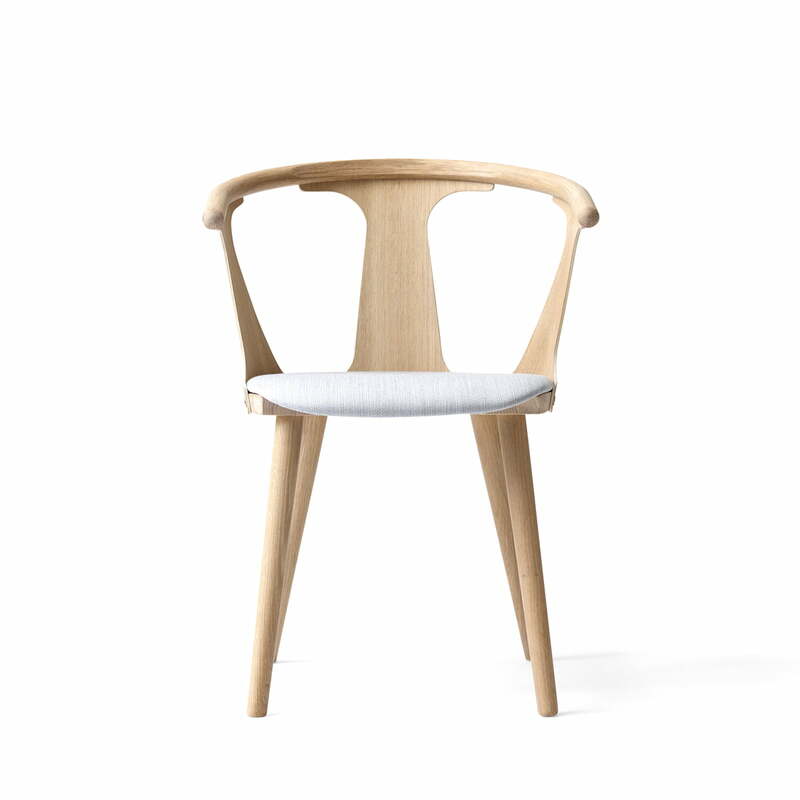 Isolated product image of the In Between chair SK2 by Sami Kallio for &Tradition with a base made from oiled oak and seat padding consisting of Fiord 251. 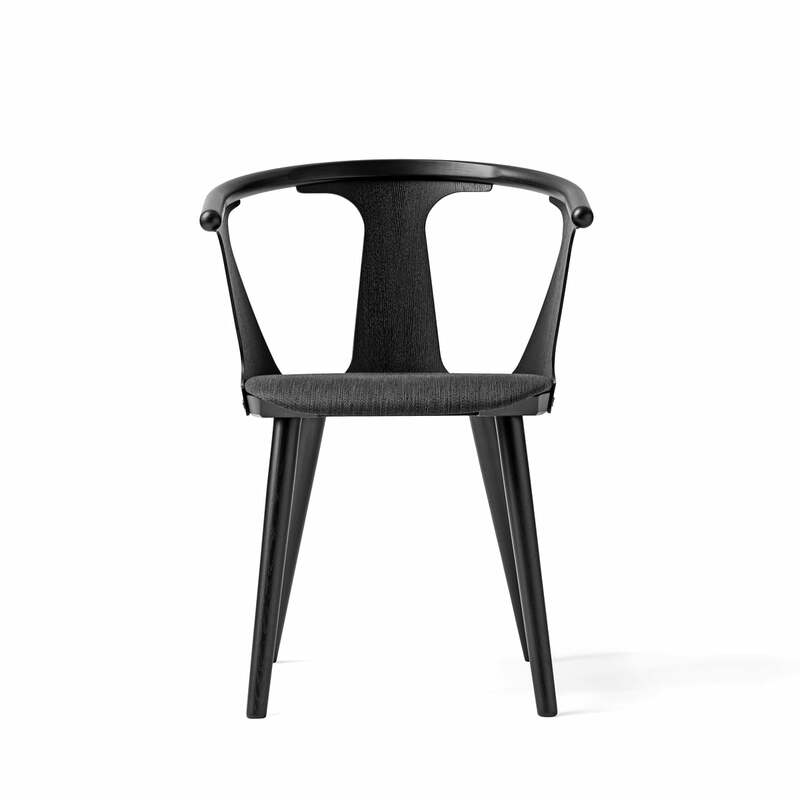 Isolated product image of the In Between chair SK2 by Sami Kallio for &Tradition with a base made from black stained oak and seat padding consisting of Fiord 191. 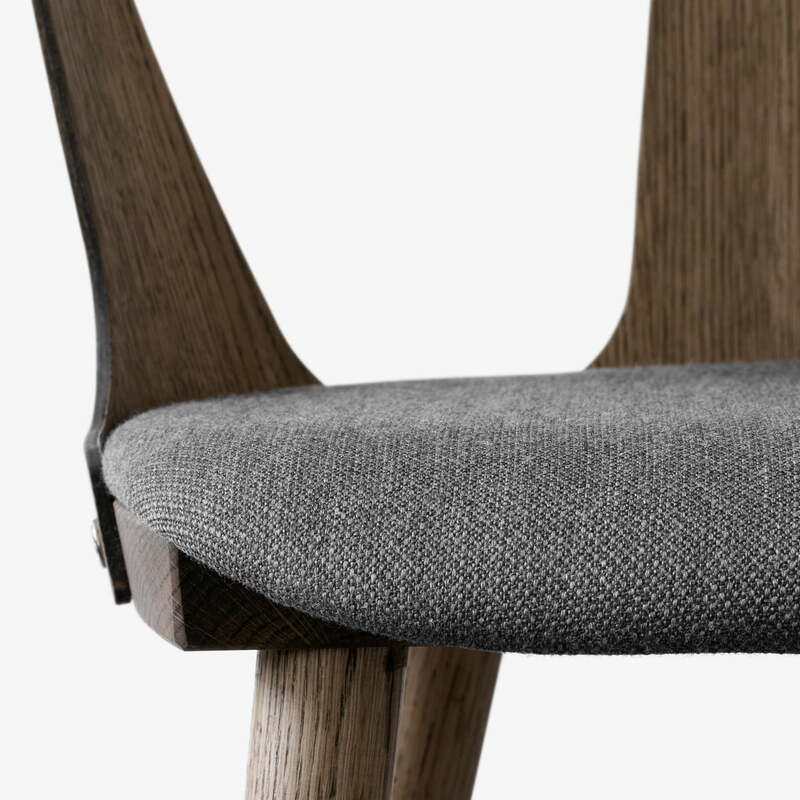 Detailed product image of the In Between chair SK2 by Sami Kallio for &Tradition with a base made from smoked and oiled oak and seat padding consisting of Fiord 171. The back and sides of the chair provide a concrete form while also creating new shapes with the open space in between. In addition to providing a comfortable place to sit, the chair is a real eye-catcher in every room. 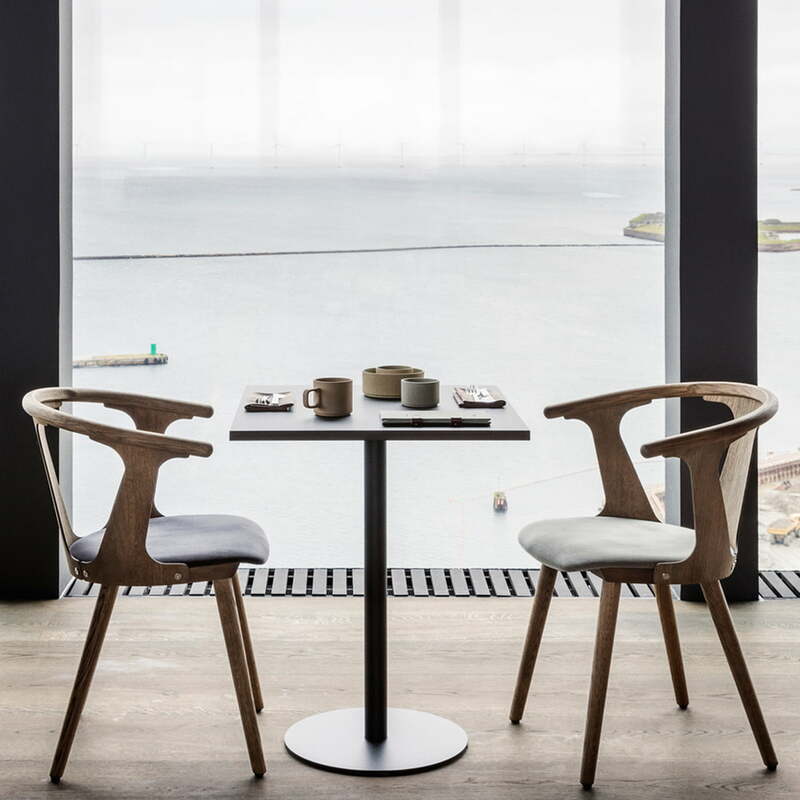 Lifestyle product image of the In Between Chair SK2 by &Tradition: The light and elegant SK2 is so versatile that is suitable as a dining table chair to enjoy meals with friends and family as well as desk chair. 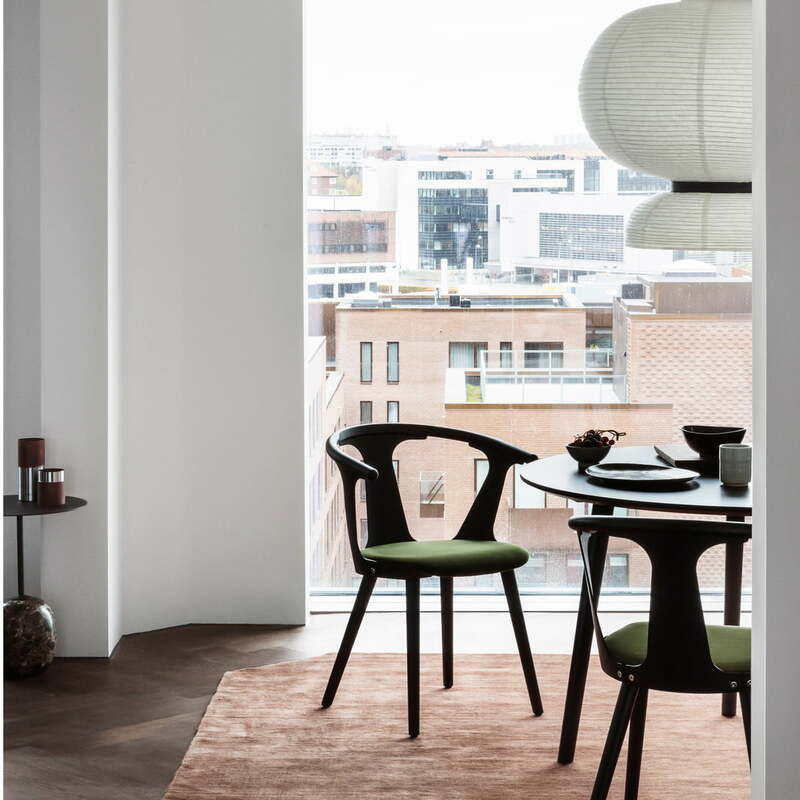 Lifestyle product image of the In Between Chair SK2 by &Tradition: The interaction between positive and negative space is at the heart of the In Between chair by Sami Kallio for &Tradition. The wood of the backrest and armrests is brought into the desired shape through the classic techniques of compression moulding and turning. Together with the seat upholstery, it radiates a modern yet cosy appearance. 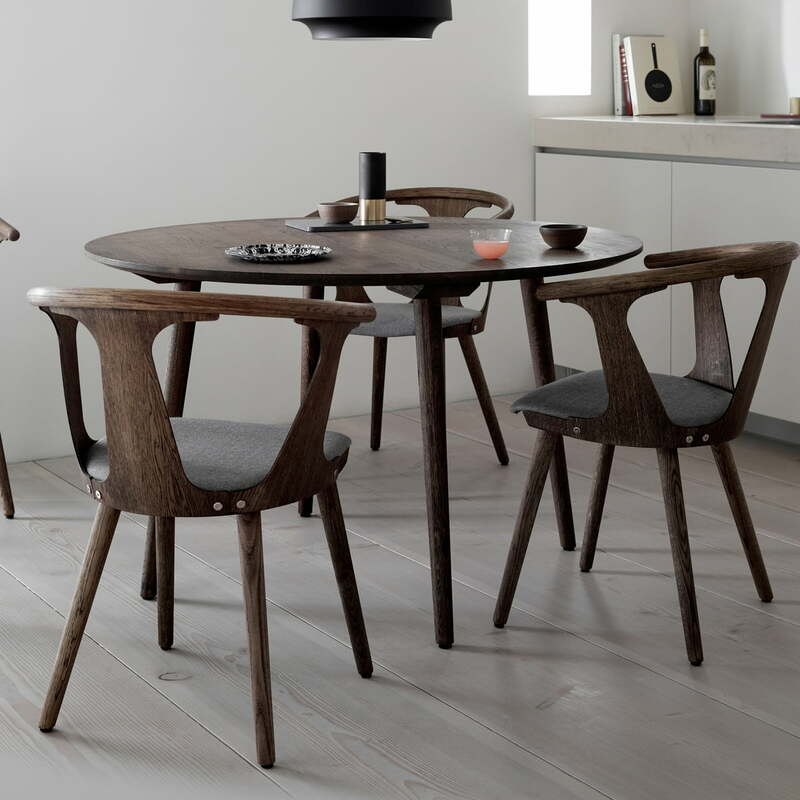 Lifestyle product image of the Nærvær Bistro table and In Between chair SK2 by &Tradition. 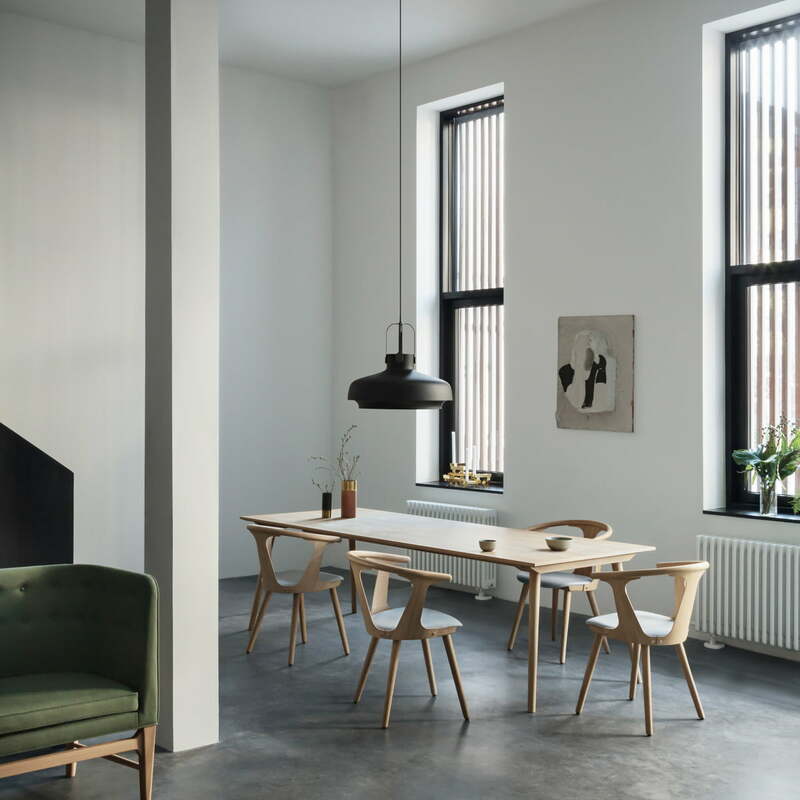 The chair and table together form a harmonious and modern ensemble.